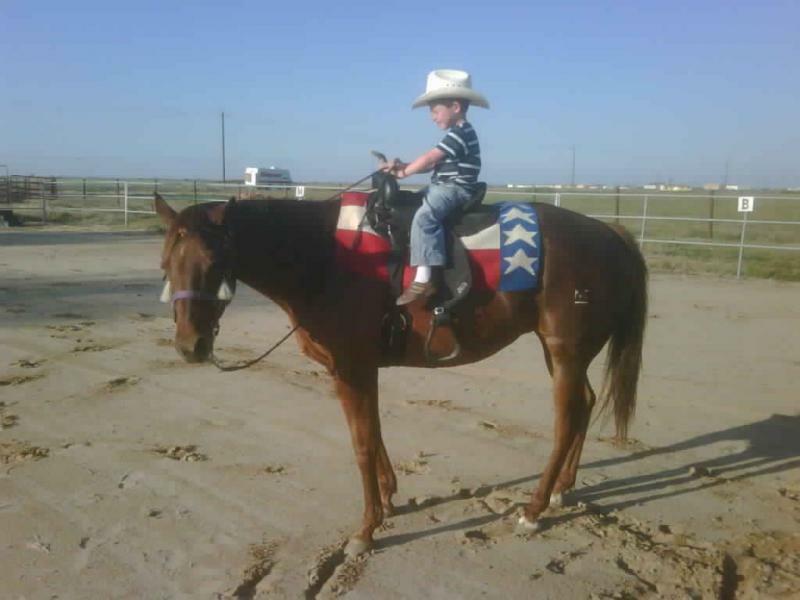 Levi is riding a 16 year old Quarter Horse mare named Dixie in the Cherry Stables Arena. Levi enjoys leadline and speed events at the walk and slow trot. Here he is learning to ride solo. 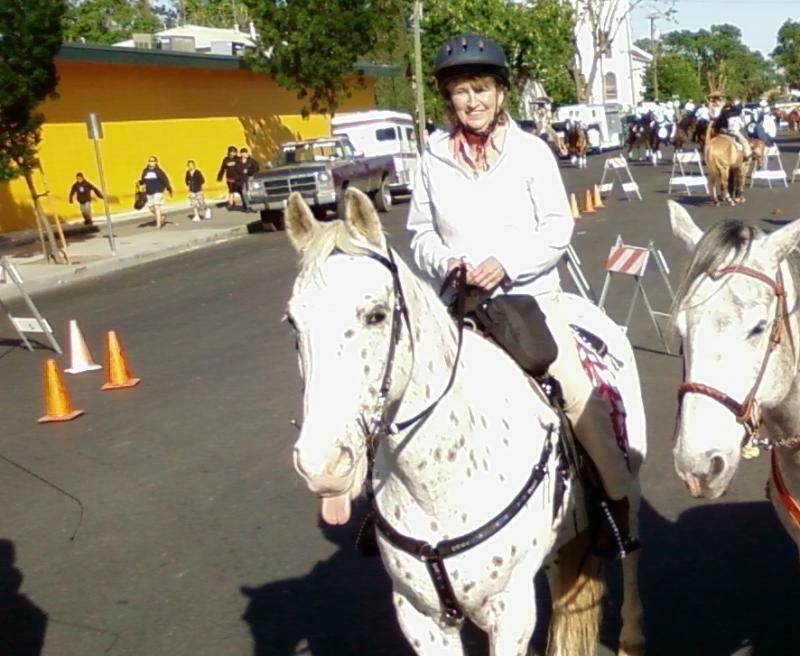 Sarah is riding her 19 year old Appaloosa gelding in a local parade. 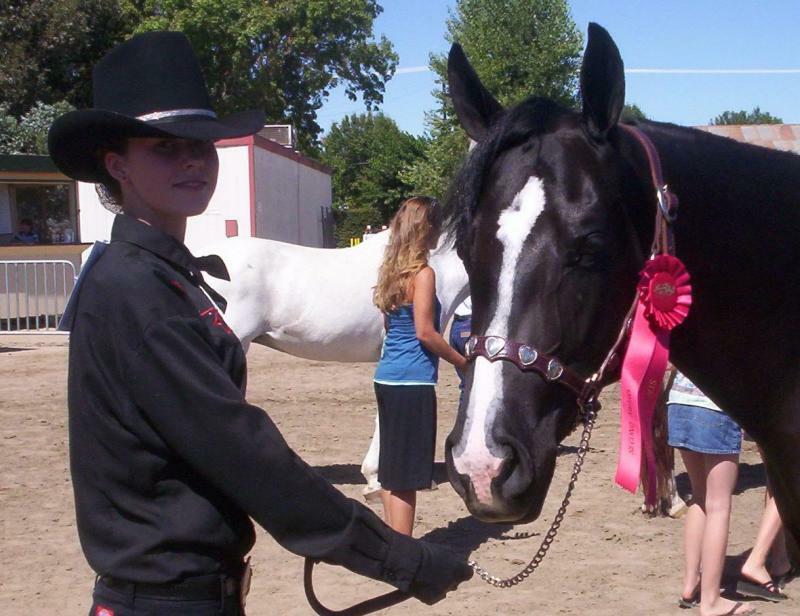 Sara enjoys parades, beach riding, and trick riding on her horse Tiko. Shannon is riding Just-In her 11 year old Quarter Horse. 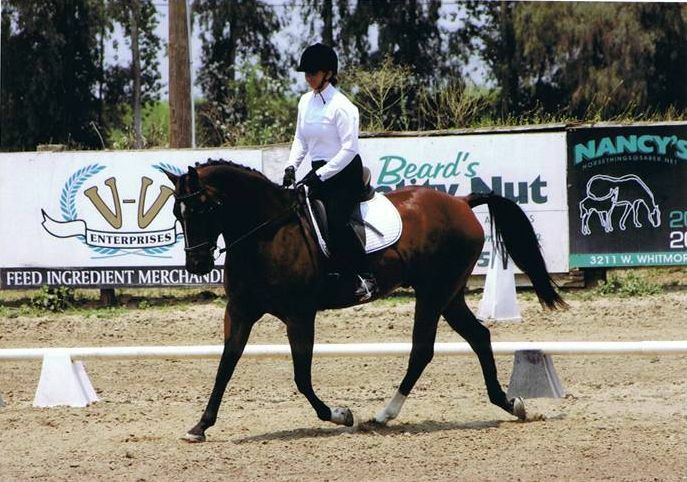 They enjoy competing in local Dressage shows. They are currently working towards 1st Level. Sam is showing her 2 year old horse in Halter. William is proudly standing with his registered 7 year Paint after placing in western pleasure horse show class. They enjoy trails, going to the beach, and camping. Farriers: Haney Farrier Service ﻿﻿haneyfarriery@gmail.com ﻿﻿209-765-3723 (Oakdale), John Anderson Professional Farrier Service 209-634-9011 (Stevinson). Veterinary Hospitals: Taylor Veterinary Hospital 209-669-8600 (Turlock), Westside Veterinary Hospital 209-826-2299 (Los Banos). Feed and Horse Supplies: Ford's Farm Supply 209-854-3805 (Gustine), Westside Feed & Supply 209-862-2623 (Newman), Tractor Supply 209-664-0695 (Turlock).